Prevents discoloring or browning of formulations by stabilizing the vanilla in fragrance oils. Have you noticed that certain fragrance oils discolor or brown your formulations over time? Industry wide, certain fragrance oils contain Vanillin or Ethyl Vanillin (Vanilla extract) in their composition and can cause products to discolor or become brown over time. 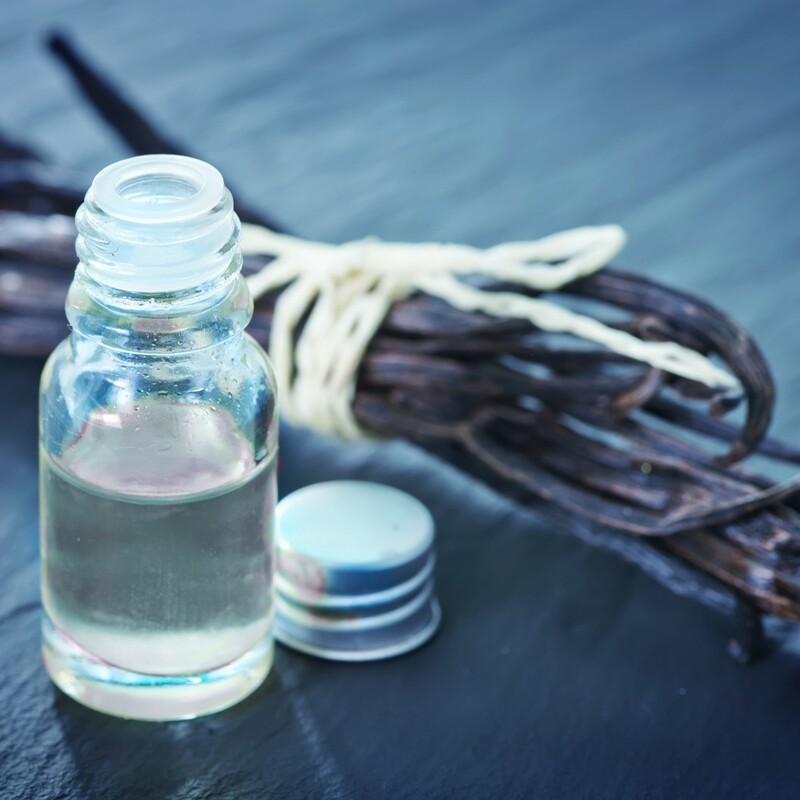 It is not always easy to identify which fragrance oils contain the vanilla extract by smell alone. There are obvious ones like Vanilla Buttercream and Creme Brulee where the vanilla in the fragrance can be identified by smell alone.There are also fragrances where the identification of vanilla extract is not so obvious like Lovespell and Fresh Picked Strawberries. So how can you tell which fragrances contain vanilla and which do not? No worries; all the fragrances we sell containing vanilla have a notice saying so. Vanilla Stabilizer minimizes the chance of discoloration/browning in formulations by slowing down the naturally occurring vanilla aging process. It is important to note that the stabilizer will not completely stop the process but it will slow the process down. Vanilla Stabilizer is not required but recommended only if you experience discoloration or browning of formulations. Clear formulas like shower gels, liquid soaps, and others do not require stabilizer. Vanilla Stabilizer is recommended to slow the discoloration/browning in white based products like lotions, creams, frostings, salts, and others. Use the Vanilla Stabilizer at a 2:1 ratio. (Example: 1oz fragrance oil to 1/2 oz stabilizer, or 10 drops fragrance to 5 drops stabilizer). First, mix the stabilizer and fragrance, then use the mixture to scent your formula. Shelf Life: One year from manufacturing date. Do not smell the stabilizer - It contains an extremely strong sulphur odor that will temporarily irritate your nose. The stabilizer will not affect the fragrance oil scent. I purchased this product in a last-ditch effort to salvage two of my most popular deodorant fragrances. My product was turning dark brow nnot a happy color for deodorant--because of the vanillin properties of the fragrances I use. I was hoping this product would help. Boy, oh BOY, was I right!! My first batch run using this additive is a 100% complete s-u-c-c-e-s-s!! I will be trying it in my CP soaps, as well.